Michael Robb is the not-very-secret identity of M.R. Mathias, a fantasy writer who changed his penname to distance his foray into horror from his YA audience. 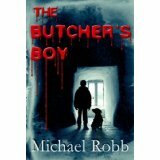 More about Michael Robb, The Butcher's Boy, and his fantasy Dragoneers series can be found on his website. Recovering from a divorce, a mother and her young son inadvertently try to make their 'new start' in a haunted house, triggering a chain of grisly, frightening events. The Butcher's Boy is a fast-paced, plot-driven novel. 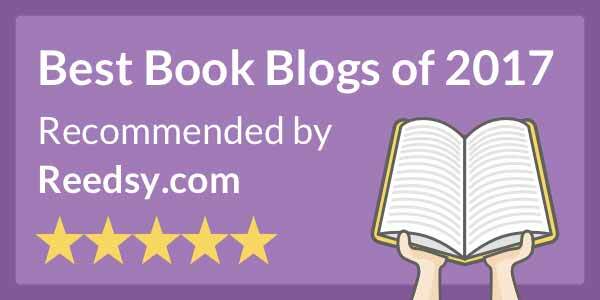 Robb has included most of the formulaic elements of the genre: Innocent Young Boy (with Loyal Dog), Gutsy Mom, Good-Hearted Stranger With a Dark Past, and Man With Axe to name but a few. Nothing really surprising happens, as the reader is encouraged to solve the twists before the characters do, but the rapid-fire events distract from unraveling the mystery too quickly, and the author holds back one shocker for the wrap-up - an extra helping of 'creep' that impressed me with its sheer twisted nastiness. The interesting thing about this book was that the ghosts provided the least of the horror element. In Robb's dark-shaded world nearly all the characters are to some degree driven by their 'sinful' urges - and their sins are unremittingly banal. The sheer bludgeoning dullness of even the most evil of characters was more horrifying in its way than a carefully crafted, subtle monster. This book is a page-turner, which is good, because if you stop turning pages for too long, you might feel a little dirty. If you're looking for a stay-up-all-night, giving yourself nasty shivers and maybe shouting at characters too stupid to see the danger they're in, definitely pick up The Butcher's Boy. Just don't stop reading. Unlike a lot of horror I've read, the dialogue in this book is strong. As a trade-off the author sometimes uses loaded slang in his descriptive prose, and for some reason does not hyphenate compound words. This did occasionally bounce me out of the story, but I found it not a big problem as it let me 'come up for air' occasionally. What a fascinating sounding book. Horror is a great genre for the use of formula - its very familiarity can trip up the reader with their own expectations. Knowing that this is a read-it-in-one-go book is tremendously intriguing. I'll definitely check this one out. Ceallaigh, are you a speedy reader or is Al just a slave driver? I see you posted 2 reviews this week already. Laura: Yes! Help, Al's got us chained in the basement and we can't get out until we read our way to the door! No, really I just have a lot of free time right now. It's hard to find a good horror, I've been on the search for a long time. Some books can give you the shivers and they're a nice surprise. I might give this one a go. If anyone can recommend a good horror (no Richard Laymon) please leave a message anywhere on my blog: http://caffeineandchapters.blogspot.com/ I'm craving for something decent, and only getting crumbs from some horror anthologies at the moment.